“The John Lardner Reader’’ is a terrific book because the best of John Lardner is extraordinarily good. And nobody should dismiss even the worst of him. Not every sentence in this collection sings like that one, but a lot of them do. Lardner wrote about a baseball player known to field fly balls with his head and a magnificent golfer hiding in plain sight from his past as an armed robber. He wrote about Casey Stengel and Satchel Paige and Jack Dempsey’s manager, Doc Kearns. He wrote about them all with grace, wit, and the illusion of ease. It is a great joy to see his work recollected and republished. John Doyle is also a wonderful writer, and if you enjoy reading about soccer, you can be thankful that he abandoned his beat as a TV critic for the Globe and Mail to follow the game around the world for a decade or so. 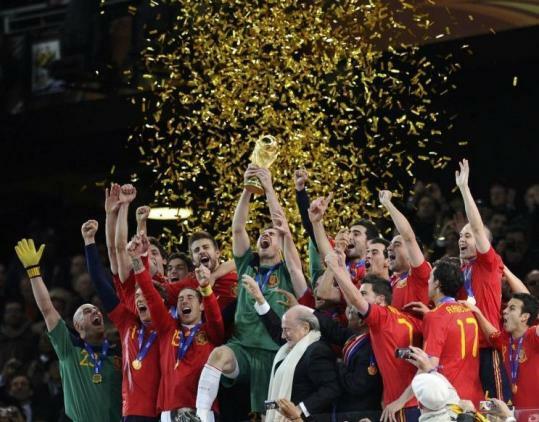 “The World is a Ball’’ celebrates soccer as it transpires at three World Cups (2002, 2006, and 2010) and at the European tournaments that took place between them. But Doyle is as much intrigued by the venues and the fans as he is by the game and its stars, and he finds bright truths even among those who haven’t made it to the show. While those in the press box were preoccupied with the hundred fleeting moments that added up to Ireland beating the Dutch by a goal in Dublin during the run-up to the World Cup in 2002, Doyle was in an Irish pub in Toronto. It is something of an article of faith among fans of the literature of our games that the best writing set in sports has been inspired by baseball and boxing. Doyle is among those making a case for soccer as equally capable of provoking the great stuff. To write “Play Their Hearts Out,’’ George Dohrmann had to spend a lot of time in the company of a youth basketball coach named Joe Keller. Readers will wonder how Dohrmann endured it. Keller is prominent among the men who have brought about the recruitment, celebration, and exploitation of young athletes. According to Dohrmann, Keller’s game was to bring star players in their teens and younger to the attention of the shoe companies and profit from the associations he developed. He promised the players whatever it took to earn their loyalty, then dumped them if they didn’t turn out to be as good as he had been assuring them they would be. The book indicts not only Keller but a greed-riddled system, which includes the Amateur Athletic Union, college coaches, and secondary schools devoted to athletic excellence at the expense of academic competence. And she didn’t bother him. She charmed him with her energy, enthusiasm, and appetite for his cheerful instruction. “Mr. Hogan, The Man I Knew’’ is a sweet antidote to the image of Hogan as a cold perfectionist and recluse for whom other people were a nuisance. Bill Littlefield hosts National Public Radio’s “Only A Game’’ at WBUR in Boston. He can be reached at blittlef@wbur.bu.edu.